Instead, instilling children with a healthy “RESPECT LEVEL” not only will a child’s soul stay intact and alive in the child, the soul, his or her true identity, will help the child to continuously adapt to changes by keeping a healthy balance between being socialized without losing one’s self in the process. Keeping a child’s soul alive and well will also empower a child to go through the storms of his or her teen years without his or her self being cast overboard in the rush of hormones and the independence drive. A balanced teen will try many new things, risk many new adventures, yet still stay true to its soul’s course, resulting in better choices for one’s adult life … while always retaining the ability to continue adapting, confident in one’s self and resultant decisions … not that there will not be mistakes … nothing tried translates into nothing gained, though sometimes what is gained is not the expected result, but the lessons from trying. If we want such balanced adults shaping our world … we need first to decide this is what we want … for all children … for everyone … and begin the adaptation process of recognizing every child … every person should know by their own experience, they are valued … respected … so we do not cause children’s souls to leave … for any period of time … so we heal a culture that reveals its degree of illness by the results of everyday life … including all the public statistics that tell the tale all too clearly … and for all the private statistics we seldom hear about it, but see everyday in empty eyes, mean actions, and defiant acts. Considering all the strife many African children, youth, and adults experience in their lives because of the poverty and living conditions, many people express wonder at how they can be so happy regardless … I believe it is because they indeed do value … respect their children and their souls in ways our “civilized” world has not yet mastered. We have something to learn from every life … every person … every culture … that is why valuing … respecting … every person must come first before we will reap the full rewards within our grasp. This entry was tagged "CONNECT ... with RESPECT! 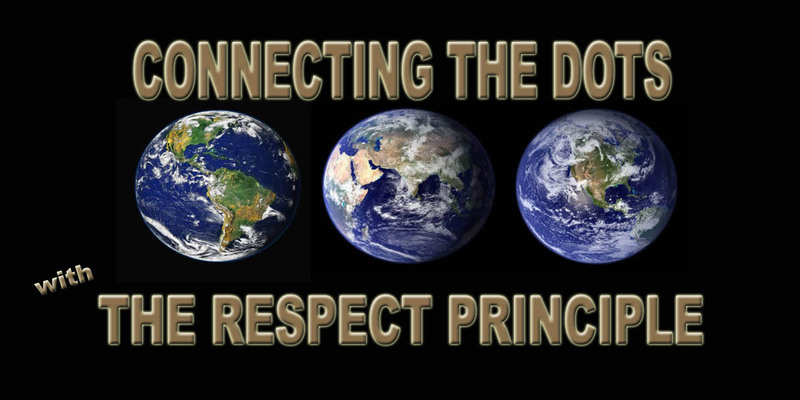 ", Adult Addictions, Adults, Children, Clarissa Pinkola Estes Ph.D, Connecting the Dots ... with The RESPECT PRINCIPLE, global initiative, How not to break ..., Jungian Analyst, Reaping Rewards, Socialization, Souls and Spirits, Teenage Storms, Youth. Bookmark the permalink.